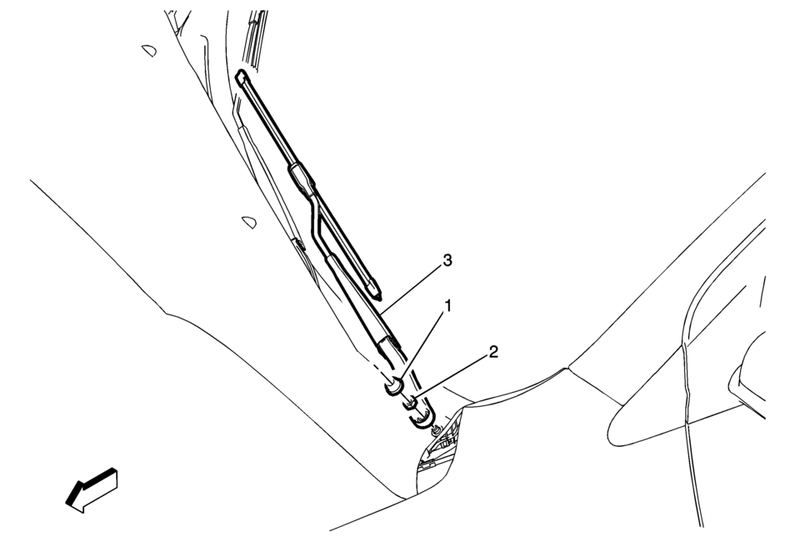 Use a small flat-bladed tool in order to release the finish cap from the wiper arm assembly. Use the BO? ?’49385 puller in order to assist in the removal of the wiper arm from the wiper module pivot shaft. Remove the wiper arm from the pivot shaft. Clean the pivot shaft knurls with a soft wire brush before installing a new wiper arm.